Stylish living quarters are made from sustainable materials, and they can be mounted on a range of vehicles. Motorhomes are in-demand these days throughout Europe, but most of them are made of plastic and metal. Such materials may be practical and cheap, but on the environmental side, it's not very sustainable. In southwest Germany, there's a company called BUMO wanting to change that. 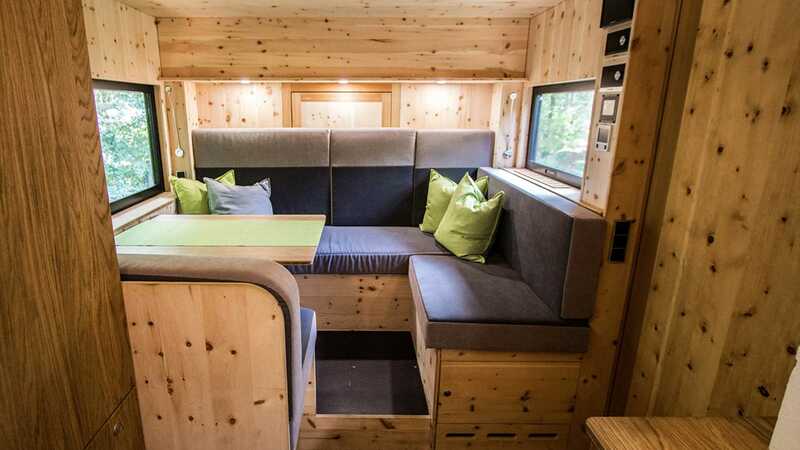 Located in Mühlacker, this family business is committed to the development and production of sustainable living cabins made of natural materials. In this instance, what exactly does sustainable mean? For starters, the facade of the living cabins consists of larch wood, supported by a frame of aluminum or steel. Wall claddings made of renewable raw materials help ensure a pleasant room climate. A rainwater collection system gathers precipitation and is filtered for water. 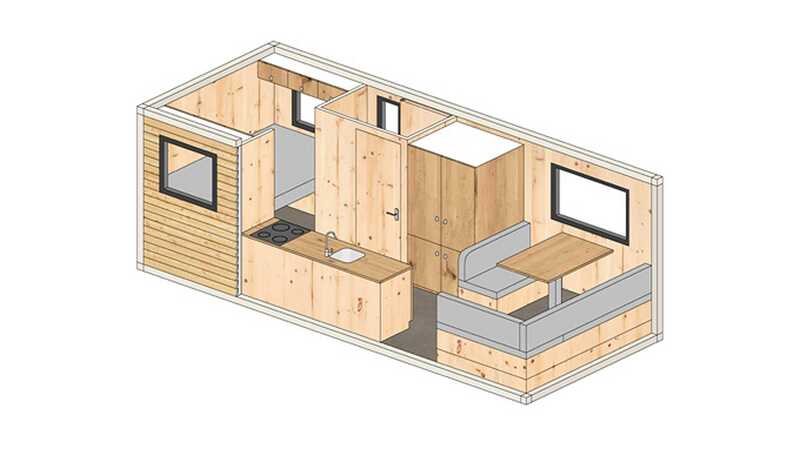 It has all the comforts of home including a compost toilet, and there's both an induction and wood stove on-board. Solar panels harness the sun for electricity, and the whole cabin is removable from the platform should you decide to make your road-trip getaway a little more permanent. 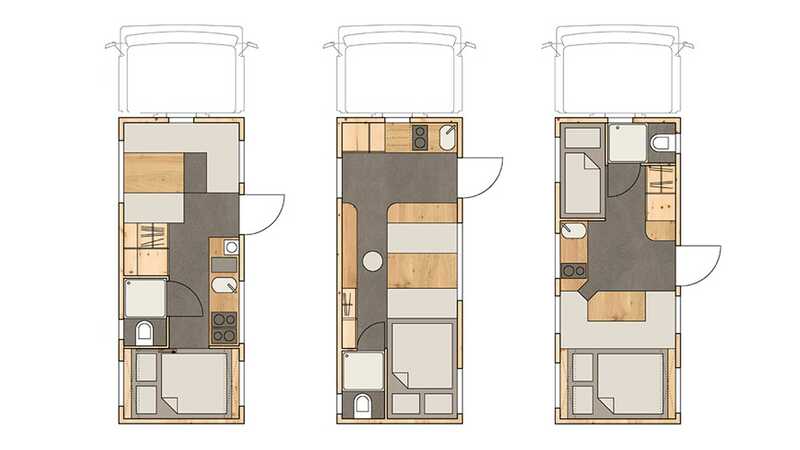 BUMO offers three different living cabins with different floor plans. Nomad is the largest, featured in the photo gallery above, followed by the Adventurer with an over-the-cab section. Explorer is the smallest, and BUMO is ready to offer a special deal as for the Explorer as part of the CMT trade fair in Stuttgart. 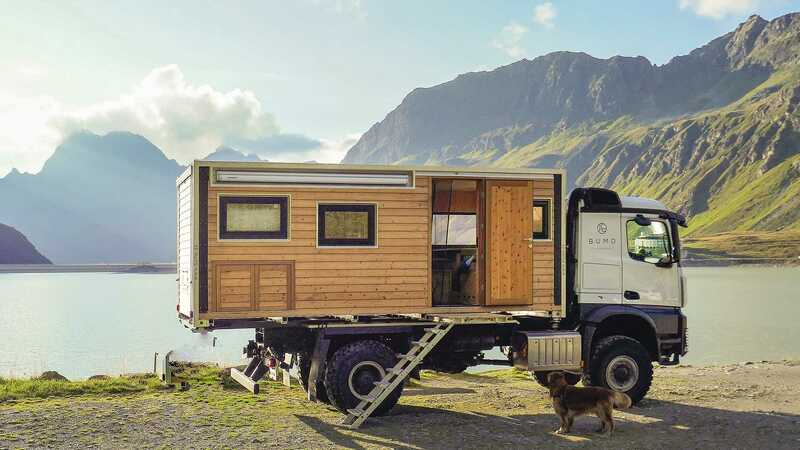 For €129,900 ($147,731) BUMO will offer the 14.7 ft. by 7.5 ft. Explorer cabin, featuring a large bed with a 150-liter (39.6-gallon) fresh water tank, a 100-liter (26.4-gallon) waste water tank, and a 70-liter (18.5-gallon) propane tank. That may sound a bit pricey, but when you consider it's basically a small house built with high-quality materials, it's not so bad.